For now, BMW can claim it has the best luxury sedan on the market with the most tech goodies. Now in its sixth generation, the 2016 BMW 7 Series offers much more technology than the previous gold standard in the class, the Mercedes-Benz S-Class. We will have to wait until the Frankfurt Motor Show to see the new S-Class in action. For now, the BMW 7 is the way to go. At first glance, the 2016 BMW 7 looks the same as its predecessor. The German car maker didn’t want to change much, but take a deeper look and you’ll notice the small and subtle changes. The new 7 series is curvier and the front end is bolder. BMW has even added a subtle trick to improve aerodynamic, adding an active grille up front that opens only when the temperature under the hood heats up. BMW has also extended the headlamps, now as far as the grille and has added LED tail lamps. 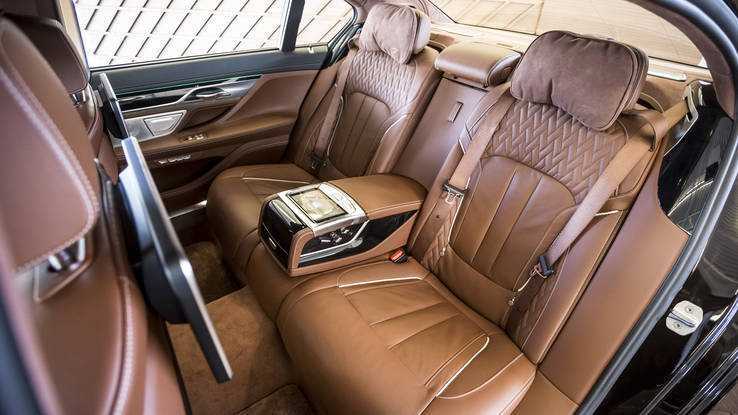 What is inside is what makes the 2016 BMW 7 Series a flagship in the luxury sedans department. The new sedan by BMW is a technological Tour de force, loaded with sophisticated technology to make the driving experience as luxurious and as comfortable as possible. When it comes to technology, we must start with the touch less gesture control. One of the biggest issues nowadays is driving and speaking on the phone and the 2016 BMW 7 series eliminates that treat. You can accept and reject calls with hand motions, without the need to press the touchscreen. Going into the iDrive system, you can now control it via touchscreen, with options such as pinch and expand for zooming in or out. Voice activation can be used for the navigation system. Gesture controls are available for many more commands, not just answering and rejecting calls. In the 2016 BMW 7 Series, the front passengers are not the only one getting tons of tech goodies. The rear seats have an option for removable tablet. The tablet allows control on seat adjustment, air conditioning, navigation, infotainment, interior lighting and much more. You can use the tablet to surf the internet or watch videos and listen to music. 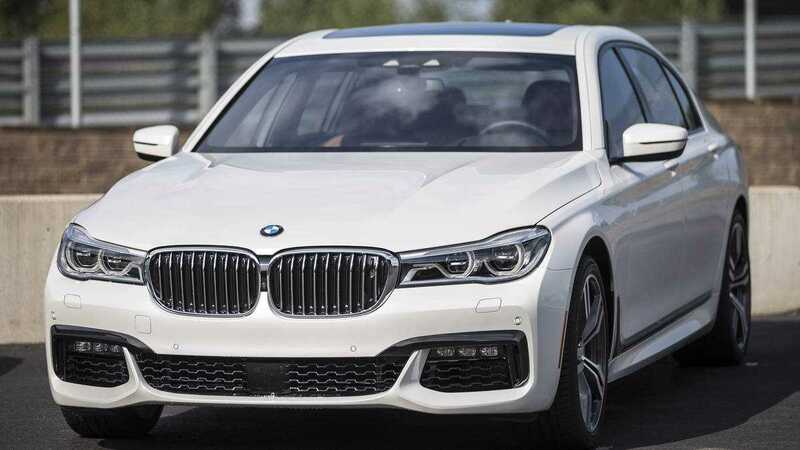 The US market will get two versions of the 7 series, the 740i and the 750i xDrive. The lower end model is powered by a 3.0-liter, turbocharged V6 engine, producing 320hp, combined with an 8-speed automatic transmission. The higher end model is powered by 445 ponies, with a 4.4-liter twin-turbo V8 engine under the hood. The best thing is that the transmission is linked to the navigation system. That ensures that gear selection is always adapted and adjusted to the driving conditions. BMW has also added an all-wheel drive for the xDrive trimming, which helps with driving at high speed in extreme conditions. A new plug-in hybrid is also planned, coming out next year. The plug in hybrid will feature a 2.0-liter turbo engine combined with an electric motor and a lithium-ion battery. With all that in mind, the only question is whether you should buy the new, 2016 BMW 7 series. For a price ranging between $81,300 and $94,400, the luxury sedan is surely worth the money. For now, we do not know how it compares to the new S-Class, soon to be released by Mercedes. But the 7 Series is definitely the best luxury driving experience car.